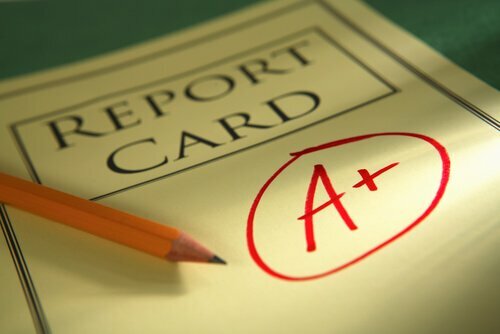 Grades are important to many law firms when making hiring decisions. However, the weight that they carry in these decisions most often depends on the particular firm involved and whether you are (A) a junior attorney or law student, (B) a mid-level to senior associate, or (C) a partner. At each stage of your career, the importance of your law school grades will diminish, and your work experience will take precedence in hiring decisions. When you are considering a lateral move, there are certain firms that will never look at you unless you have certain grades. The most prestigious firms-such as Latham & Watkins, Skadden Arps Slate Meagher & Flom, Wachtell Lipton Rosen & Katz, and Munger Tolles & Olsen, among others-will almost never hire you, or even interview you, unless your academic performance falls within a certain cutoff set by the firm, regardless of what stage you are in your career. However, it is also worth noting that many prestigious firms are often willing to look at individuals who are stellar performers from schools that are not in the top 10 or even the top 25. The most prestigious firms are looking for excellence, and excellence in their minds begins the second you receive your first grades in law school, whether it is a first-, second-, or third-tier law school. Either you have it or you do not. There are many reasons that several top firms are so strict about grades. The main reason is because it provides their clients assurances that the best lawyers possible are doing the work. People also talk about these firms and how difficult they are to get into. These firms can afford to be so selective because they are places where many want to work. If you want to move into the very highest rungs of law firm practice (which is defined by prestige), your grades will continue to be important throughout your career. As any attorney who has ever participated in on-campus recruiting is no doubt aware, grades are an extremely important criterion that firms use in the hiring of junior attorneys. Grades are far more important for law students than junior attorneys. Indeed, at no other point in your career will your grades be more important than when you are looking for work just out of law school. One of the main reasons that grades are emphasized so much for law students is that firms have very little else to go on when they are making hiring decisions. Firms can look at your college and your performance there. Firms can look at what activities you participated in during law school. Firms can also judge how much they like you. Nevertheless, in terms of judging how serious you are about law school and how much aptitude you show for the practice of law, grades are generally the most important standard that firms use in the hiring of law students. In many respects, this is somewhat understandable, and there is support for firms' taking law students' grades so seriously. For example, several studies have been done that have shown that your LSAT score-and not undergraduate grade point average-is the best predictor of your academic performance in your first year of law school. Similarly, there have been studies done that show that your performance in your first year of law school (and not during your second and third years) is the best predictor of whether you will pass your state's bar exam on the first attempt. The largest and most prestigious firms typically have the most stringent grade cutoffs for law students. In addition, the firms that do on-campus recruiting at your law school also tend to place a great deal of emphasis on grades due to the fact that they can compare the transcripts of many students at one time. Many large national firms will only consider graduates in the top 5% from some national law schools, yet they will consider the upper 50% in the hiring of law students from the very top national law schools. The importance of your grades will generally increase as you go down the law school ranking ladder. For example, if you attended Yale Law School, your grades will be much less important to most law firms than they would be if you attended a fourth-tier law school. Nevertheless, it is important to note that law students from most law schools can find positions in most cases, regardless of their grades. If you are interviewing with firms that typically do not do a lot of on-campus recruiting at your school, the odds are that grades will be emphasized less than they otherwise might be. In addition, many smaller firms may emphasize grades a great deal less than top national law firms due to the fact that they may be more than happy to get a student from your school. Finally, there are certain specialties (such as patent law) where your academic performance in law school may be emphasized even less than your undergraduate performance by some firms. As recruiters, we have been amazed by the fact that grades are not always emphasized as much as some attorneys might think. We have seen attorneys from fourth-tier law schools at the bottom of their classes get positions during law school with top national law firms, for example. In general, there is a certain predictability as to what kind of firm law students will end up at based on their grades. Nevertheless, there are exceptions to this rule, and we continue to see them on an ongoing basis. The fact that the exceptions occur with some regularity should clearly demonstrate the fact that there are forces at work beyond grades in the hiring decisions of many firms. Associates with one to three years of experience that are considering a lateral move are typically worried about their academic performance and what effect it might have on their ability to move. The reason associates worry about this so much is due to the fact that they have been so recently conditioned about the importance of grades during law school. As you progress in your career, grades recede in importance. Many attorneys are able to move as junior associates to firms they might not have been able to get jobs with while they were in law school. First, when you are one to three years out of law school, you have presumably begun to specialize in some branch of law. The more arcane that branch of law is, the fewer attorneys you will be competing with for your position. Accordingly, firms desiring someone with your skills will be more likely to overlook a less-than-stellar academic performance to get your experience. As you are no doubt aware, firms are forced to write off a great deal of an attorney's time during his/her first year of practice because an attorney is not very productive in his/her first year. As you get more skills and experience, your value to firms increases because they do not have to write off as much of your time. The value of this training increases exponentially depending on how few attorneys practice in the same branch of law as you do. Second, many attorneys leave the practice of law entirely during their first three years. Accordingly, those that continue to practice law are competing with fewer people for the same positions. Because there are fewer people to compete with, firms do not feel the need to be as selective with which attorneys they are willing to hire, especially with respect to law school grades. Third, you will be benefited by the fact that you have proven that you are dedicated to the geographical location you are in. The benefit of being part of the legal community and having stability in the region is something that is very important to law firms. Fourth, the supply and demand of attorneys is also affected by the fact that many attorneys disqualify themselves from big-firm practice very early in their careers by accepting jobs with firms that are not conducive to moving laterally to a grade-conscious firm at a later date. For example, many attorneys accept positions with insurance defense firms or smaller unknown firms that do unsophisticated work. While there is nothing wrong with this decision, the fact of the matter is that most firms that care about grades want to hire attorneys they perceive as having the training it takes to practice law in a big-firm environment. Because the substantial majority of law graduates go to firms that grade-conscious firms perceive as not providing a high level of training, the fact of the matter is that most grade-conscious firms cannot afford to be overly grade-conscious when hiring laterals. In fact, the quality of the firm you are coming from is usually far more important than your grades when you are moving as a lateral with one to three years of experience. If there was ever a better illustration of the points discussed above in action, it is the hiring of corporate attorneys on both coasts in 1998 through most of 2000, which took place at a dizzying pace. Many of the most prestigious national law firms were hiring corporate attorneys out of small law firms without ever seeing so much as a transcript. This pattern emerged because the firms had more work than they could handle. While most of the best-known names in the legal profession were inflexible with lowering their standards, a great many firms did budge on their standards and hired everyone they could get. In this circumstance, the importance of grades virtually vanished. None of this is to say that grades ever completely become irrelevant. If you think about the law of supply and demand, you will quickly realize that it can also make grades important later in your career. In the example above, there was a tremendous demand for corporate associates on both coasts for a period of three years. By 2002, this trend had reversed itself. With numerous corporate attorneys from top national law firms competing for the same positions, grades again became a determining factor in hiring decisions. In the mid-level to senior associate realm, the same prejudices that the largest firms have about grades are still present, and they remain generally quite interested in your grades. Nevertheless, as recruiters, we have noticed a greater willingness of firms to look the other way or not take grades as seriously as they would for law students when dealing with someone with substantial experience. Regarding a mid-level associate, firms are generally most concerned about your legal skills and the potential you show. If you are coming from a firm with some stature, then law firms will assume you have the training to do the work that they need done. Mid-level associates are typically quite profitable for firms because they can efficiently do the work that firms like to bill at lower rates in order to appease clients. When considering a mid-level associate, most firms will look at your grades, but most firms' largest concern will be with your ability to do the work and the potential you show for growth within the firm. The same illustrations outlined above regarding (1) your specialization, (2) the number of attorneys still practicing, (3) your geographic commitment, and (4) choice of firms that have given you high-level training become even more important for mid-level associates than they are for junior associates. After several years of practice, the same four factors identified above become increasingly important in firms' evaluations of your relative strengths. In addition, firms become more concerned with your potential to make partner and your business-generation abilities. The elevation of these criteria into a firm's evaluation of you assumes an importance that far outweighs concerns about grades with probably 99% of all American law firms. At the partner level, grades have almost no importance. Concerns about your business-generation abilities and other factors make almost all other factors practically irrelevant. In fact, we would estimate that in 7 out of 10 partner placements we make, the firms hire our candidates without ever requesting to see their grades. There are, of course, exceptions to this, as some very prestigious national firms will continue considering your grades to be of paramount importance throughout your career. On some occasions, we have seen partners who were national figures in their practice areas with multi-million-dollar books of business not get interviews because of their law school grades. However, this occurs very infrequently, as there are not many firms that are not going to accept a potential rainmaker into their firms just because he/she got a C in Evidence 25 years ago. By far, grades are most important for law students. As law school grades are the only measure of what you have done relating to the legal field before you enter a firm, there really is no other way for a firm to judge your abilities at this level. Once you have reached a point in your career where you have gained meaningful work experience, they become less important and continually decrease in significance the longer you practice. While law school is three short years, your legal career can span more than 30 years. Accordingly, it goes without saying that your law school performance is by no means the most important indicator of the success you will have in the practice of law. Nevertheless, there are some American law firms where your grades will prevent you from getting a position throughout your career. However, with all the opportunities available in the market, one's law school grades 10, 5, or even 1 year after law school are not something that will hold you back with most firms if you have managed other aspects of your career correctly.